Here's where to watch every episode of The Legend of Tarzan season 2. Mouseover or tap an episode to see where to stream it. Click or tap the play icon to stream it on the best available service. Tarzan and the British Invasion Feb 3, 2003 Jane's friends, Eleanor, Greenley, and Hazel, thinking Jane is in trouble, come to rescue her. When they find her and everything is explained, they fret Jane has changed. So, to prove she hasn't, Jane takes them on a picnic in the jungle. That's when trouble comes up. Tarzan and the Volcanic Diamond Mine Feb 4, 2003 Two sneaky men named Johannes Niels and Merkus come and want Tarzan to take them to the volcano on the other side of the jungle to look for diamonds. 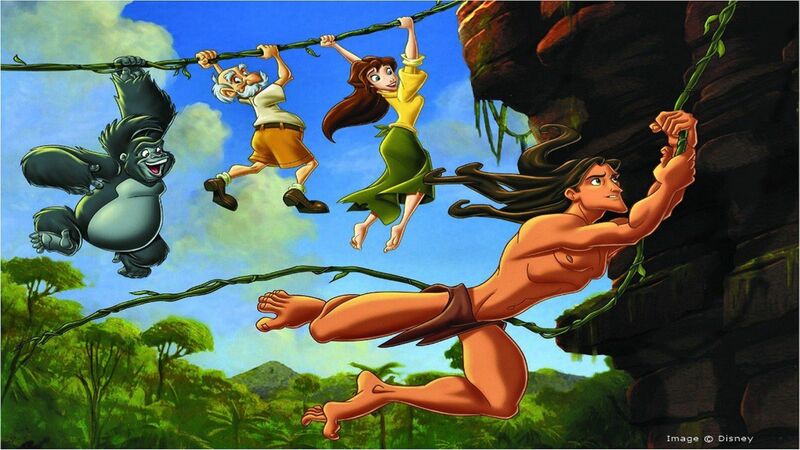 Tarzan agrees as long as he gets a diamond for Jane in return. Little does he realize, Niels and Merkus are planning to kill him when the diamonds are collected--or that the gang is following them. Tarzan and the Flying Ace Feb 5, 2003 A bush pilot (and an old friend of Jane) named Bobby Canler comes to visit Jane, but Tarzan senses something bad about him. He later is convinced he's just jealous so he backs off. Unfortunately for everyone, Tarzan was right: Bobby's a double agent!